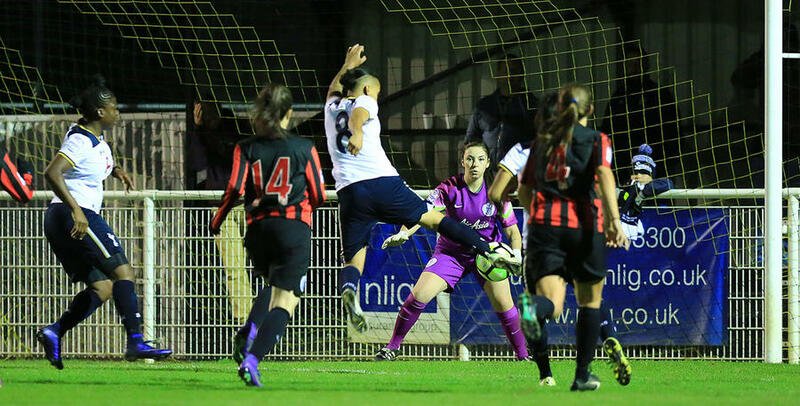 QPR LADIES were cruelly denied their first point of the FA Women’s Premier League season after late drama at table-topping Tottenham Hotspur on Wednesday night. A dogged defensive display from Rangers looked like earning them a share of the spoils, only for a controversial penalty decision to break their resolve. Callie Neat – who pulled off a string of saves on the night – even kept out Eartha Pond’s spot-kick, but was helpless to Bianca Baptiste slamming home the rebound. 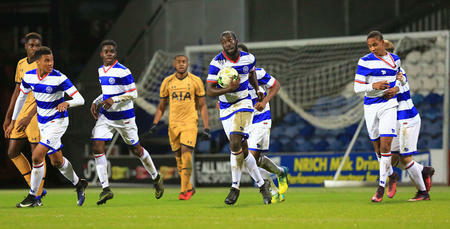 Pond then compounded the R’s misery by adding gloss to the scoreline with two long-range strikes in stoppage time. Martino Chevannes’ side were on the backfoot early on, and were fortunate when Baptiste’s corner came back off the near post. Wendy Martin had Spurs’ first serious opportunity, but she was denied by Neat at the start of what would prove an inspired evening for the R’s number one. Neat next kept Kelley Blanchflower at bay before pulling off an even better save from the same player from distance. Meanwhile, the woodwork came to the R’s rescue again just before the half-hour mark. Renee Hector’s free-kick beat Neat and her defensive wall, but crashed back off the crossbar. It would prove the closest either side would come during a goalless first half as, even when Baptiste did find the net shortly before the break, that effort was chalked off for offside. The pressure on Neat’s goal continued after the re-start. Baptiste looked set to score one-on-one, but again Neat performed heroics to repel her latest shot. The pair went head-to-head again on the hour-mark, and once again it was Neat who came out on top. Nikita Whinnett – scorer of three goals when the sides met in September – then spurned a gilt-edged chance for Spurs, blazing over after beating the R’s offside trap. But, after holding firm for 80 minutes, Rangers’ resolve was finally broken – and in controversial circumstances. Ashleigh Harte was penalised for an alleged handball in the box and, even though Neat kept out Pond’s penalty, Baptiste reacted quickest to thunder home the rebound. It was harsh on Martino Chevannes’ side, who were dealt further punishment in stoppage time. Pond picked out the top corner from 25 yards, before repeating the feat moments later with another unstoppable strike. QPR: Neat, Lopes, Engels (Haggag 77), Harte, Sseninde, Gwilliam (Roberts 70), Critchley, Sloan, Nord, Cooper, Peck (Trehearne 59).